As we meet with people that are interested in working with us, we find there are some important questions that should be answered right away. Yes, we certainly do. Please click here to see our "Financial Planning" page. To learn about our financial planning services. Do you have a minimum amount to become a client? Typically, we require our clients to hire us to develop their financial plan or commit to having a minimum of $250,000.00 per "household" to get started with us as. There are exceptions to this so feel free to call us to discuss your situation. What are your fees, how do you get paid? We steer away from commission based products. We feel commissions can be a conflict of interest. Therefore we charge a fee based on the assets under management (See schedule below). Since our fees are tied to the value of your portfolio, we have "skin in the game" if your portfolio value goes up, our fees as a static percentage go up too. If your portfolio value goes down, our fees go down as well. We clearly have a vested interest in your success with nothing to hide. We feel that when we are discussing any potential changes in your portfolio we don't want you to wonder "what will this cost me?" or "Is this in my best interest or are they looking to generate commissions?". If your portfolio fee is the same regardless of where it's invested, you can rest assured there is no hidden agenda. $25,000,000.01 and greater = Case by case basis. Please note: Our Asset Management Fee Schedule is charged on the total value of the "household" portfolio. We do not believe in tiered rates (meaning 1.2% on the first 500k, 1.0% on the portion between 500k & 2MM). $750,000.00 times the rate of 1.00% = $7,500.00. Our method of charging fees would save you $1,000.00 p/year in this example. When and how are fees charged? Fees are charged and automatically deducted from each account in the portfolio on a quarterly basis. For example: if your portfolio fee is 1%, your portfolio fee will be charged at the rate of 1/4 of 1% per quarter. What is a "household" portfolio? A household portfolio is simply all of the portfolios in your household added together for the purpose of receiving the lowest point of fees charged. When considering our minimum investment to become a client, we consider the household not the individual. A household is typically immediate family members. They don't have to reside with you to qualify. 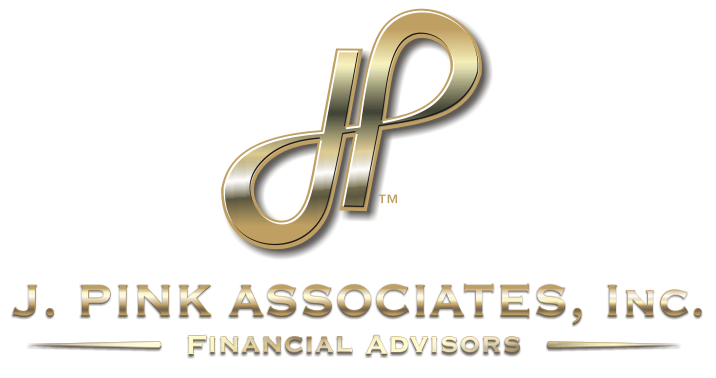 Are there any other fees charged if we work with JPA, Inc.? Yes, depending on what investment vehicles we choose, the underlying investment will most likely have fees as well. Because we are not using commission based products these fees are typically much lower than retail investments. Our goal is to remain competitive when calcualting your total portfolio fees. We will discuss all of the fees involved with your portfolio before any money is moved to any product. When you hire us to create a financial plan, the fee for the plan is separate from asset management fees. As our financial plans are so labor intensive we can not/do not give them away. Since my fees are a percentage of my portfolio, can I just give you permission to make the changes necessary without my prior approval? No! This would called giving your advisor "discretion" and it's something we won't/don't do with our clients. We understand you're busy and we won't waste your time with trivial phone calls but our practice is to discuss and get your permission (either via phone or face to face) before any changes or trades are made in your Portfolio. Can you change my portfolio fee without my permission/can I authorize a change over the phone? No, any changes in your fees must be done in writing and with your signature. There are no exceptions to this. I've heard you host something called a "referral dinner", what is that? Our referral dinner is a way for us to say thank you to the clients that have referred a new client to us and a way to welcome the new client to our family. We host the dinner once per year (typically just before Thanksgiving). We try to choose a upscale (5 star) venue where we can expect great food and great service, we want this to be a special evening for all of us. Please click here to see our "referral dinner" page to learn when and where this year's dinner will be held.